KARACHI: In yet another assurance to the residents of the port city, K-Electric (KE) promised on Wednesday that the worsening situation of power supply in Karachi will finally improve by May 20 with the decrease in load shedding. KE said the utility has brought the affected part of Bin Qasim Power Station from Holland. “The rotor, weighing over 41 tonnes, is being airlifted and will reach Karachi on May 16,” the KE spokesperson said. A team of experts will install the equipment and the production of electricity from the affected unit is expected to be completed by May 20, he added. The metropolis is currently facing a shortfall of 600MW-700MW due to the Bin Qasim plant breakdown, leading to unannounced load-shedding in areas that were previously exempted from power outages. Earlier this month, the Sindh High Court issued a contempt of court notice to K-Electric (KE) chief executive officer Tayyab Tareen while hearing a case pertaining to unannounced power outages in the city. The contempt petition, filed by Iqbal Kazmi, stated that unannounced load shedding of 8-12 hours a day has made the lives of citizens miserable. It added that the KE was bound to publish the load shedding timings prior to power outages and several court decisions were present in this regard. The petition further stated that the court has stopped the KE from carrying on unannounced load shedding, but despite court orders, the power distribution company was not taking measures to improve its performance. Load shedding continued throughout Karachi on Wednesday as KE ignored the order passed by Chief Justice of Pakistan (CJP) Mian Saqib Nisar. Reports of heavy load-shedding in various parts of the city have been received including Liaquatabad, Malir, Orangi Town, Lines Area, Landhi, Shah Faisal Colony, and adjoining areas. 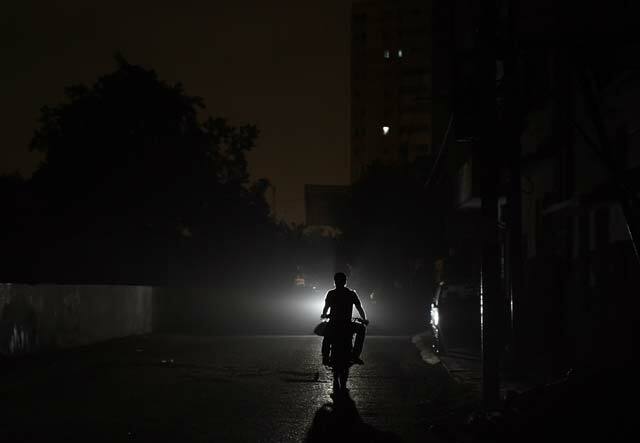 Various areas including North Karachi and Scheme 33 witnessed a blackout throughout the night as 10 to 15 hours of load shedding has become a norm. Exempted areas are too suffering from three to six hours of power outages ahead of Ramzan.